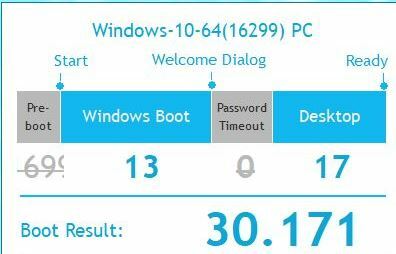 How fast does your computer boot? 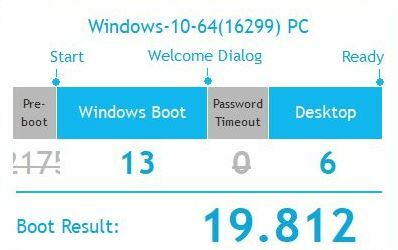 It’s time for you guys to show off just how fast your system boots with your Crucial SSD installed! Reply and let us know the boot time, or if you have a “Before and After SSD” image or video comparison like ours below then even better! I don't have a video depecting how fast my work PC is with an SSD, but it's so much faster than with a hard drive. I use to go get a cup of coffee, use the restroom, and come back and my hard drive would still be loading my system. Now, it's booting in about 4 seconds! @targetbsp Thanks for the suggestion. I will have to try this out and then post a video. Based on my date registered on here - it's been 9 years since I last booted from a hard drive so no before and after times here! @Wildcard1978 you should totally time it and see if you can beat CrucIAL_YogiH's 4 second time! 10-12 seconds I guess. It's ok for me.